Welcome back to another exciting episode of The KLIQ Nation Comic Book Chronicles! Tis the first day of NYCC and none of our fair adventurers were there. Rest assured, Agent_70 will recap his adventures (in song, hopefully) next week. 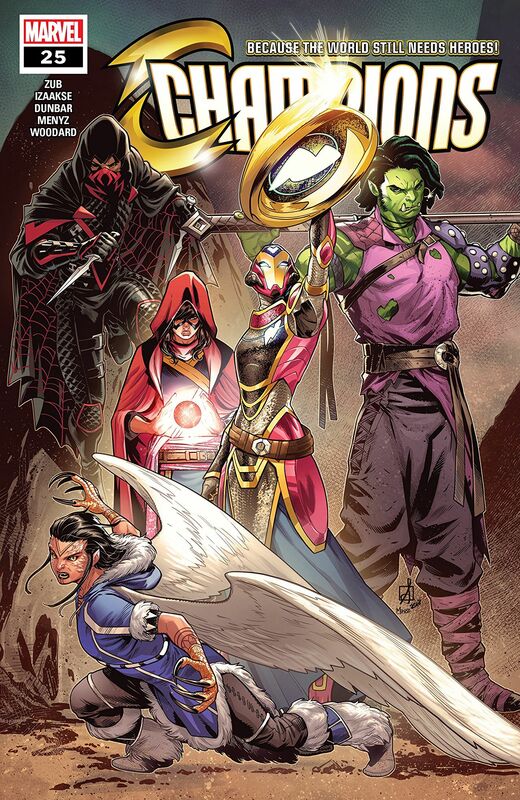 This week, there were a few perception checks but no one had to roll for initiative as Agent_70 and Roddykat regale one and all with tales from this week’s comic’s releases such as Champions #25, Doctor Strange #6 from Marvel and Jook Joint #1 from Image. In the news, there’s the potential cautionary tale that, seemingly, there will still be a Gambit movie in the vein of a certain genre. Trailers for both Daredevil season 3 and Netflix’s She-Ra and the Princesses of Power drop. Chris Evans looks to be hanging up his shield, and Rosie Perez could be the answer as she will play the Question in the upcoming Birds of Prey movie. Roddykat rolls out new cards from the newly released trading card game based on the Transformers from Wizards of the Coast, AND they will be #kliqsoftheweek, because there should be treasure at the end of every quest!